Each scholarship will cover the full registration fee for the two-day regional conference held on Wednesday, April 18 and Thursday, April 19, 2018 at the Morrow Center in Morrow, GA. Please note that the scholarship does NOT include the pre conference workshop scheduled for Tuesday, April 17, 2018. Scholarship recipients will be required to register and pay the associated fees ($50) for the pre conference workshop if they are interested in participating. 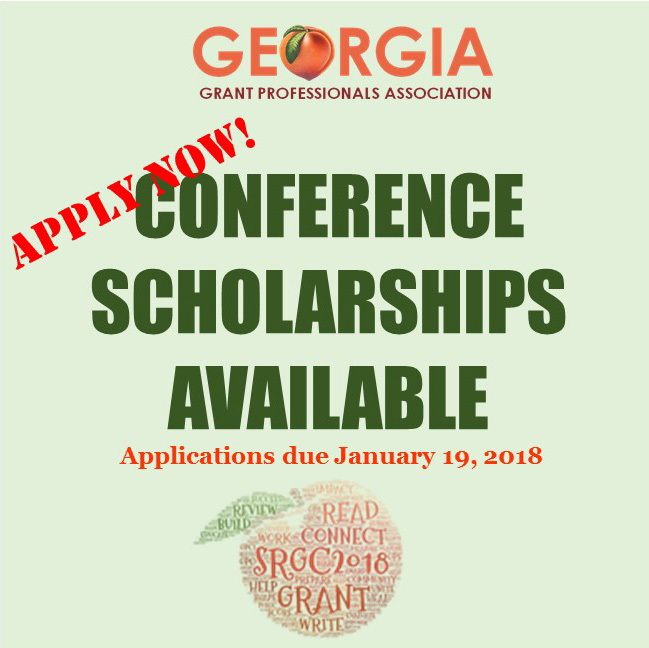 To be eligible to apply for a SRGC scholarship, you must be a GPA and GGPA member in good standing, abide by the GPA Code of Ethics, and agree to these Terms of Application. 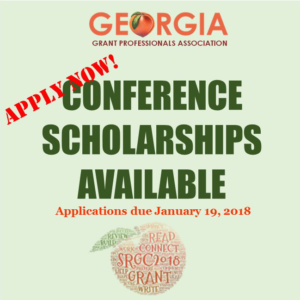 Scholarship recipients agree to provide a headshot and write a 500-800 word article about their experience at the conference to be highlighted in one of the GGPA monthly eNEWS. Members of the SRGC Scholarship Committee will review all applications using a standardized scoring rubric and will verify the accuracy of the information provided. It is recommended to craft your responses to questions 2-4 in a word document and cut and paste into the application. Please email info@ggpa.org for any questions regarding this scholarship process.